powerful practice of KUNDALINI YOGA, clearing blockages, negative habits and Karma for 7 generations past and present. 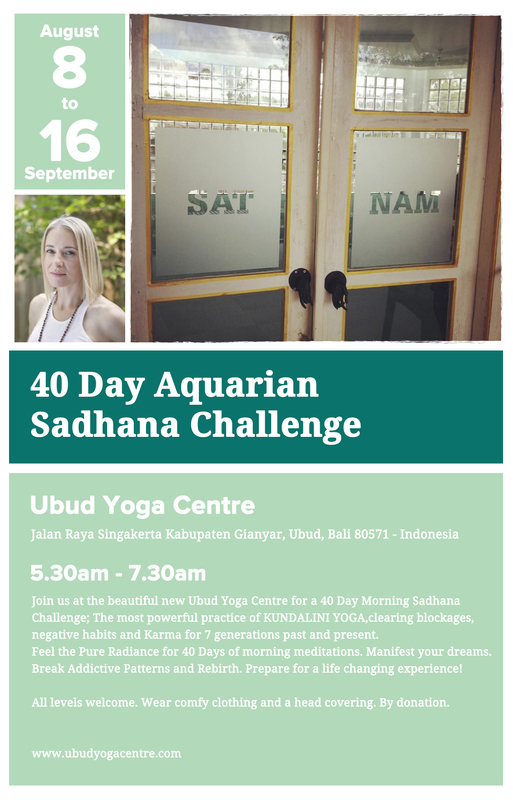 Feel the Pure Radiance for 40 Days of morning meditations. Manifest your dreams. Break Addictive Patterns and Rebirth. Prepare for a life changing experience! All levels welcome. Wear comfy clothing and a head covering. By donation.